Motorists most likely will see more gas stations setting prices less than $3 a gallon although overall retail prices inched downward last week, according to the Automobile Club of Southern California's Weekend Gas Watch. The retail state average is $3.233 a gallon for regular today, 8.3 cents less than last week. 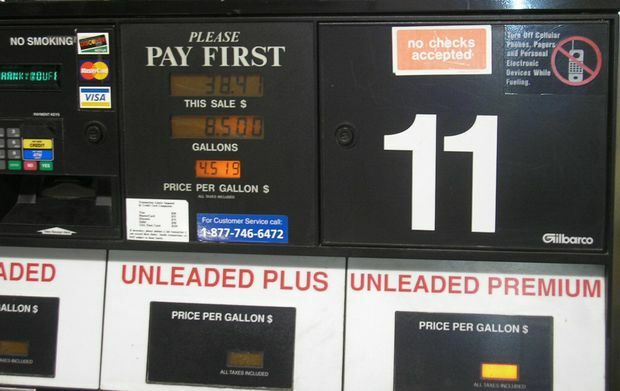 Motorists can check gas prices at www.fuelgaugereport.aaa.com or by downloading the AAA app. The average price of self-serve regular gasoline in the Los Angeles-Long Beach area is $3.281 per gallon, which is 9.0 cents less than last week, 3.6 cents more than last month, and 77 cents lower than last year. In San Diego, the average price is $3.263, which is 8.4 cents less than last week, six cents higher than last month, and 75 cents lower than last year. On the Central Coast, the average price is $3.279, 8.5 cents less than last week, 7.5 cents higher than a month ago, and 79 cents less than last year. In the Inland Empire, the average per-gallon price is $3.248, down 10.5 cents from last week, 6.4 cents higher than last month, and 76 cents less than last year.